HomeArticlesPractice of MedicineThe need for special attention in case of “pain intervention” through homoeopathic treatment in the present era. The need for special attention in case of “pain intervention” through homoeopathic treatment in the present era. Pain is considered to be one of the most distressful symptom due to excessive irritability of nerve. Although this is not a separate disease entity, yet a separate class of symptoms which signifies some underlying disease conditions. Pain is exclusively a subjective sensation having a broad variety and description. There are infinite pain cases which requires special medical attention. Pain medicine refers to the super specialty in conventional system of medicine, which exclusively deals with such pain cases. According to Homoeopathic concept, disease is nothing but a set of symptoms and in order to cure the person that totality of symptoms should be removed from the person. Pain is one the important symptoms which has to be given special emphasis in order to provide solace to the patient. There are innumerable medicines in homoeopathic Materia Medica which may have significant role in managing several types of pain but needs to be thoroughly evaluated so that they can be applied rationally. In this context, a separate and special emphasis should be given to the pain spectrum with an exhaustive clinical testing, separate clinical setup, special evaluation and thorough sincere monitoring of cases. In homoeopathy, totality of symptoms is the foremost important thing in any case.10 But in the fast moving time special modulation is needed for keen understanding of any disease because it is almost impossible for a single physician to know and tackle all cases and perceive the nature and prognosis of the illness. Conventional therapy has so many limitations in pain management where homoeopathy can contribute a lot. So it’s time that a special emphasis may be given in such pain cases irrespective of the fact that absolute cure is possible or not. Underlying pathological or psychological conditions. There are so many intractable cases where removal of pathology, in order to remove pain, is infeasible. 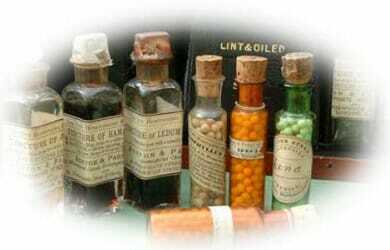 According to the Homoeopathic Philosophy those cases needs palliation with the most similar remedy. For this totality of symptoms is the only way to treat and for making the totality, a thorough and in-depth understanding of the nature and intensity of the disease is obligatory which is not possible in a general clinical set-up; rather to say a special setup and emphasis should be created in the light of pure and classical homoeopathy to know the complaint related to the man and to treat them rationally. So it is high time that we think about such specialties where homoeopathy integrated with other relevant therapy can do much and pain medicine is one among them for making a broader aspect of the system and to help the suffering humanity. Katz J, Rosenbloom BN, Fashler S. Chronic Pain, Psychopathology, and DSM-5 Somatic Symptom Disorder. Can J Psychiatry. 2015;60(4):160-7. Yarnitsky D. Conditioned pain modulation (the diffuse noxious inhibitory control-like effect): its relevance for acute and chronic pain states. Current Opinion in Anesthesiology. 2010 Oct 1;23(5):611-5. Garg R, Joshi S, Mishra S, Bhatnagar S. Evidence based practice of chronic pain. Indian J Palliat Care. 2012;18(3):155-61. Dureja GP. Handbook of Pain Medicine-E-Book. Elsevier Health Sciences; 2013 Nov 28. Fayaz A, Croft P, Langford RM, Donaldson LJ, Jones GT. Prevalence of chronic pain in the UK: a systematic review and meta-analysis of population studies. BMJ open. 2016 Jun 1;6(6):e010364. Deshpande AN. Prevalence of chronic pain based on primary health center data from a city in central India. Indian J Pain 2018;32:81-5.